Does studying dentistry mean you’re destined to work in a clinic or treat patients forever? While many dentists enjoy the comforts offered by an established patient base and daily routine of dentistry, some might want to seek out different opportunities. But what else is there other than traditional dentistry for those with a dental degree? From leading a sailor’s life to studying ancient civilisations, you’ll be surprised at how far your dental degree can take you. Can’t get enough of the sun and sea? Take your practice onto a ship! A cruise ship, to be exact. For dentists who want to visit new destinations while traveling across the seas, becoming a cruise ship dentist is literally a dream come true.Cruise companies that offer journeys of 14 days or more tend to look for dentists to serve on board their ship. 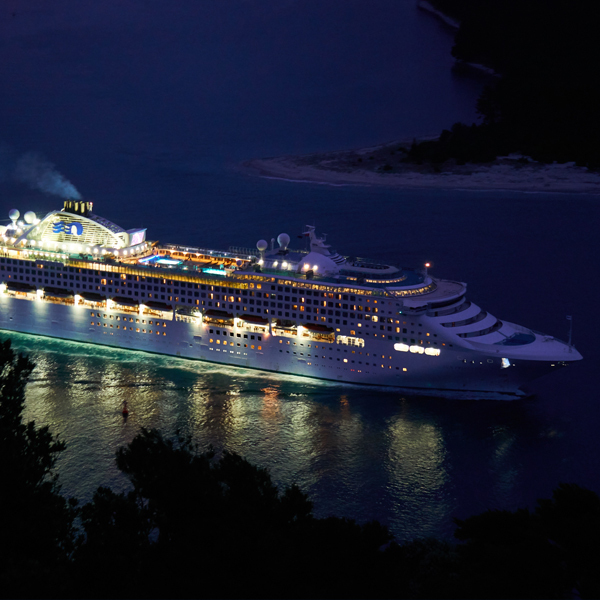 Hygienists are also in demand on cruises as some spa cruises offer dental services such as teeth whitening. One thing to note is that positions like these are not freely advertised and any openings will require significant effort to discover.Your first step should be to contact cruise lines directly. You will most likely encounter lots of red tape because dream jobs like these are highly coveted. If you can, get in touch with the medical department of the cruise line and arrange a meeting. If you are fascinated by history, or you’re interested in anthropology or archaeology, why not join the field of forensic odontology. Forensic odontology is commonly associated with criminal science and legal enforcement. But not many people know that odontology can be a well sought-after skill in the archaeology field as well. Dental remains can be used to identify the dietary habits and age of people. Ancestry can also be traced using teeth. All of this requires intensive research, lab testing and sometimes even field work. Not to mention the stomach to work with human remains. While this field is unique, it is interesting to see what new revelations can be discovered just from teeth that are thousands, or even millions of years old. If this sounds like fun for you, you might just become the Indiana Jones of dentistry! Ever wondered what it’s like to work for “the other side”? Some dental insurance companies hire certified dentists to investigate dental claims and levels of service. While a dental degree is usually not a requirement, being qualified and having prior dental experience puts you in a much more advantageous position for the role as an authority in dentistry. Your job would consist of filing reports to the insurance company and using your dental expertise to work with the claims department. If you’re interested in knowing what is it like in the insurance industry or touching spit turns out not to be your thing, then this role will be right up your alley. Today in almost any industry, there is a demand for influencers. While becoming an influencer is still relatively new to dentistry, it is a niche that is ripe with business opportunities. Around the world, social media-active entrepreneurs in the dental field are teaming up with dental brands to promote products, practices, and new technologies. Some local practices are also using social media to market their services to a younger audience. Influencer marketing is a million-dollar industry, and if you can establish yourself as a leading dental authority on social media, you can become very successful. But it’s not as simple as just posting on your Instagram or Twitter a couple of times every week. Influencers need to know the art of marketing, and carefully craft every aspect of their personal brand from voice to aesthetic. It’s a delicate tightrope, and there is a ton of hard work that goes on behind the scenes. And that includes building a network of followers that and a strong commitment to growing your own brand. So if you live and breathe social media and you aren’t afraid of the limelight, you just might have what it takes to become the next big dental star.